From druggie to prison ministries volunteer, Curtis spent his teenager and young adult years partying and strung out on drugs and alcohol. It wasn’t until he was faced with a potential prison sentence that Curtis stopped and thought about a higher Power when he heard thunder in the middle of the day with not a storm cloud around. After that experience, Curtis went on a spiritual quest to discover happiness and fulfillment, but strange ideas and religions took him down paths that led away from God. Yet at key points in his life, God once again sent thunder to wake Curtis up. 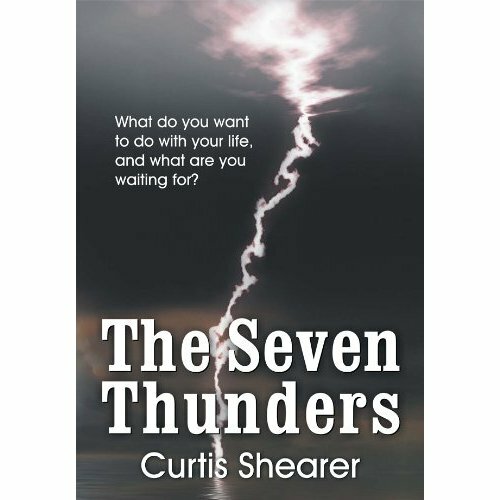 The Seven Thunders is the story of Curtis Shearer and his struggle with drugs and alcohol, his deliverance from his addictions, and his life of ministry and service for the Lord in the prison system, his community, and abroad. The book chronicles his search for peace and joy in the midst of the trials and tribulations of life and the fulfillment of the desires of his heart.